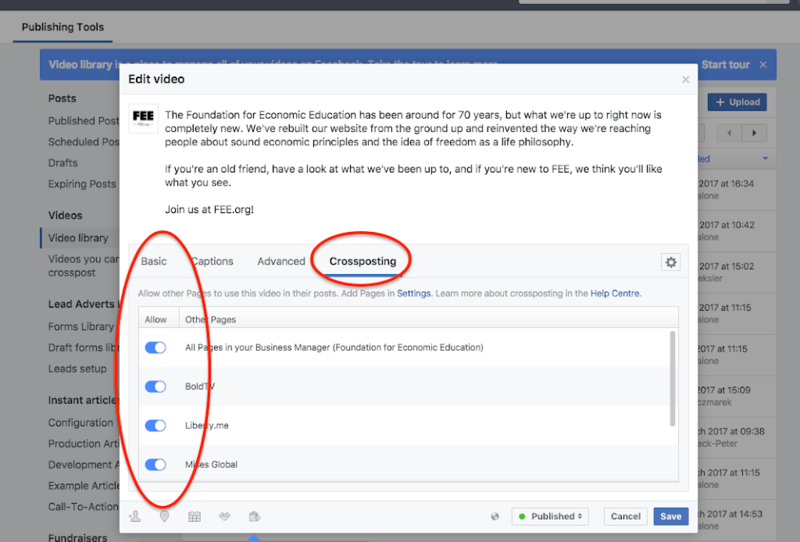 Cross-posting videos allows sharing Facebook Videos between Pages without re-uploading a duplicate video. 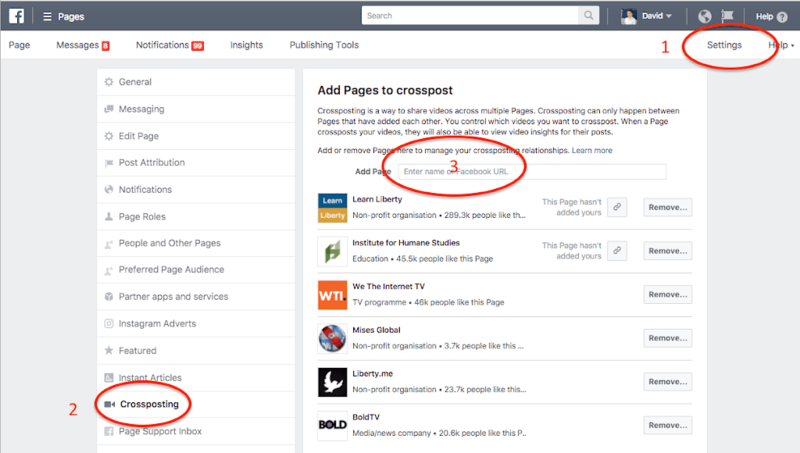 Why would you want to cross-post with FEE? 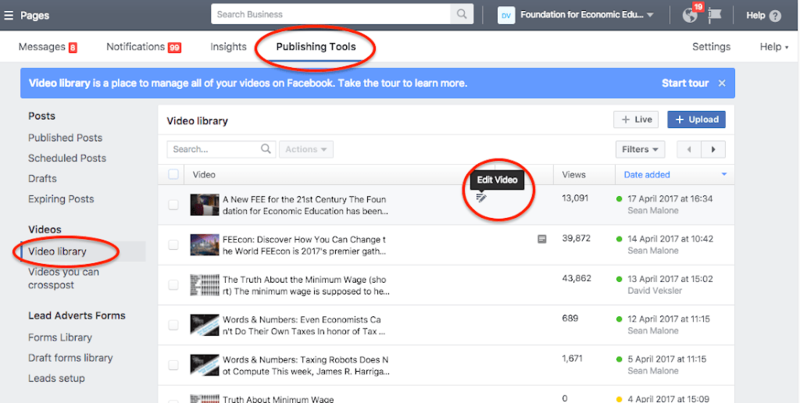 Analytics/Insights are shared with both the author and the page cross-posting the video. FEE has a $2 million grant to distribute great content, and we are very, very good at distribution! Tutorial: How do I allow another Page to crosspost my Page’s videos?